Probably my favorite part of creating these vintage inspired trading cards is when I get others who are into them as well. I put a lot of time into them, so it's just a great feeling. Not all that long ago - as documented here - Matthew Modine shared my Stranger Things card of him on his Instagram account. If that wasn't crazy enough it was seen by Jason MacDonald, the husband of the actress (Catherine Dyer) who played Agent Connie Frazier; Matthew Modine's character's right-hand lady on the show. 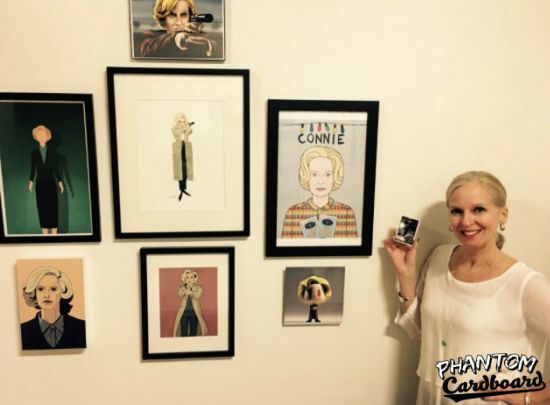 Jason, also an actor, and Catherine have been collecting Connie Frazier fan art and wanted to add one of my cards to their collection ... what!? I loved Stranger Things so of course I jumped (almost literally) at the opportunity to make this card (and have a copy signed!). After selecting a couple of good images to fit into the 1983 (the year ST is set in) Topps baseball inspired design I created the card and shipped a few copies down to Atlanta. 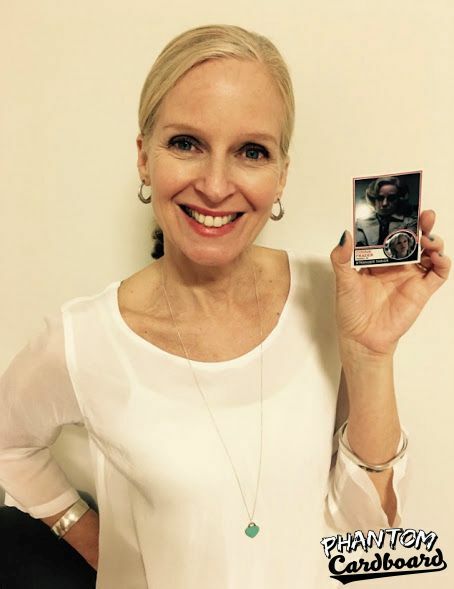 I also asked that if all possible could Catherine take a snapshot of herself with the card. As you can see from the pictures below Catherine and Jason were more than gracious with me, even throwing in a couple of rad vintage trading cards from Jason's own personal collection! It was a true honor and privilege! Very cool. I'm really happy at all the appreciation and support you get from the cards' subjects. Doesn't get much nicer than this! Indeed. It was super flattering.